BRUNO'S PACK.... It's a pack with some GREAT PERKS!! $10 off after every 10 visits!! 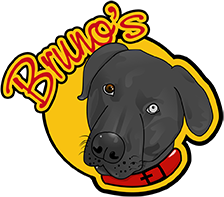 Free birthday dessert with entrée for Bruno's Pack members! Join the Pack today!!! Register NOW and start accumulating perks points!! Use your cell #, home phone# or email to register. Receive texts to ensure you get to enjoy all the perks! !